The other day in the breakroom at work a show called The Kitchen (Food Network) was on the TV. They were discussing 100 calorie portions of various foods and one of these foods was carrots. In their discussion of the 28 baby carrot 100 calorie serving, one of the hosts mentioned that carrots are high in vitamin A. They are not. This got me thinking about how my grandma (and my mom) used to tell me to eat my carrots because they would help me see in the dark. They won't. Vitamin A promotes good vision and is only found in animal food sources. Plant food sources that are often cited as being good sources of vitamin A contain a precursor to vitamin A called carotenoids. It is possible to convert carotenoids into vitamin A, but the human body is extremely inefficient at this process. The most important thing to note about vitamin A is the difference between retinoids and carotenoids. The vitamin A you get from from animal sources is in the form of retinoids, also called retinol, while the plant source vitamin A is carotenoids, such as beta carotene. Animal sources of retinol is bioavailable, meaning your body can use it. The vitamin A from plant sources, however, must first be converted to retinol before your bodycan use it. 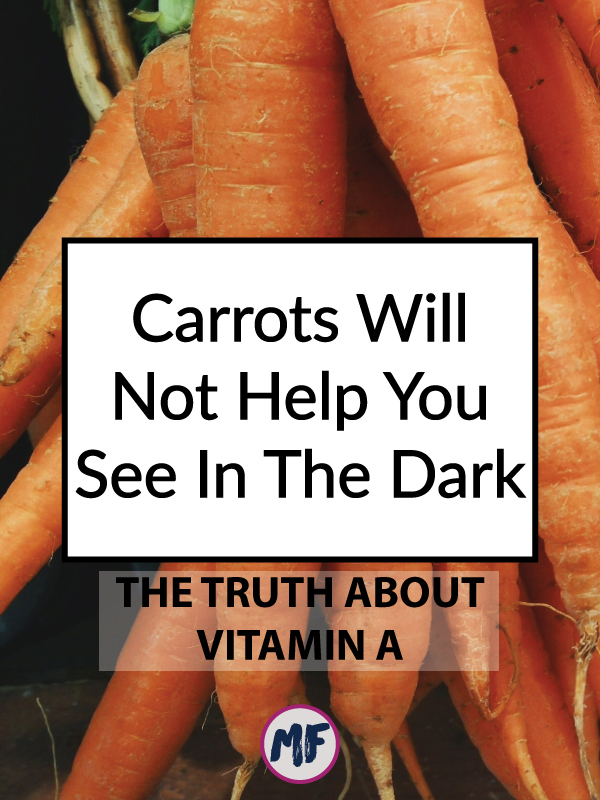 When you are getting most of your vitamin A from carotenoids, you are likely not getting much at all. In an extremely healthy person at least six units of carotenes are required to convert into one unit of retinol. That means you would need to eat 4 1/2 pounds of carrots to potentially get the same amount of useable A as in 3 oz. of beef liver. In someone with digestive issues, hormone imbalances, or other health problems the conversion requires even more units of carotene. Since I've just ruined everything you thought you knew about vitamin A, you're probably wondering where you should be getting it from. I have never enjoyed liver, but I eat eggs, butter, and heavy cream so I'm getting some amount of vitamin A. Also, please don't start taking any supplements without consulting your doctor first. You may be concerned about vitamin A toxicity or have heard that it can cause birth defects in infants. While I have not done extensive research on this subject, it appears that most of the studies that link moderate doses of vitamin A to health problems and birth defects used synthetic vitamin A.
Vitamins taken in pill form should always be done with caution (and with the supervision of a doctor). Often the body does not recognize these synthetic compounds and they can collect in tissues causing toxicity. 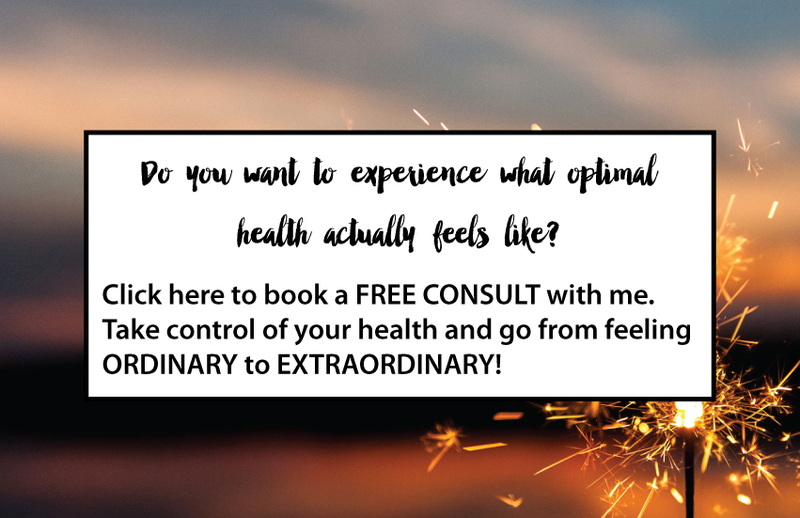 When you get your vitamins from whole food sources, not only are you getting something that your body recognizes and knows how to use, but you are also getting other vitamins and minerals necessary to efficiently use these nutrients. It is also important to note that vitamin D is required to help your body utilize vitamin A as well as prevent vitamin A toxicity. Natural sources of vitamin A, such as cod liver oil, also contain adequate amounts of vitamin D in order to help your body appropriately utilize these nutrients. Vitamin A is also a fat soluble vitamin meaning that without adequate fat intake your body is not able to absorb this vitamin. Adequate fat intake also helps to increase the finicky conversion of carotenoids into vitamin A. Most foods that are rich in vitamin A also contain the fat needed to utilize it. I bet no one was told to eat their liver because it would help them see in the dark! What did your parents tell you to get you eat your vegetables when you were younger? Share them in a comment...and perhaps I'll even bust a few of them for you!